If you are like most people, you have plenty of stuff that you could store in your garage, your attic, or your basement. Here is the problem with that option: you can’t always guarantee that the things you store there will be safe or in good condition when you go to retrieve them. Even worse, you will forget they are there and replace them, thus spending more money and adding to your clutter. A storage unit in the San Mateo, Foster City area is a smart alternative but most people don’t think of it. Here are some reasons you should consider renting one to put away your belongings safely and yet, access them when you need them. You may not have realized that your things can get a musty odor when you store your boxes of stuff in the attic or basement. However, when you go to retrieve them, you may notice that a musty odor has now infiltrated your things. Basements and attics are notorious for mildew that can go undetected for years while your precious belongings are slowly deteriorating. At 5A’s self storage facility in the San Mateo Foster City area, your things can be stored safely in a storage unit. The typical garage, basement or attic simply doesn’t provide the same security and protection for your items. 2. Don’t You Want to Park Your Car in the Garage? Here’s a fact to remind yourself about: the garage is where you park your car, not store everything you can’t make room for inside the house! If you have so much extra stuff that you are tempted to take over the garage, pushing your car out onto the driveway or street, you have to ask yourself if this is the best use of your garage. After all, you depend on your car to get you to work, to school, and everywhere you go, so why not protect it from the elements and give it more longevity? A storage unit is definitely a smarter choice over using your garage for storage. Aside from the musty smell and unstable temperatures typical to attics, basements, and garages, rifling through your stuff to find the right box can be frustrating and time consuming. Things often get broken in the process of looking for what you need. Storing your labeled boxes in organized sections of the storage unit means you can easily find the Christmas decorations without confusing them with your Grandma’s dainty chinaware. Over a long period of time, investing in a storage unit is both cost and time efficient compared to storing your items in the garage, attic, or basement. 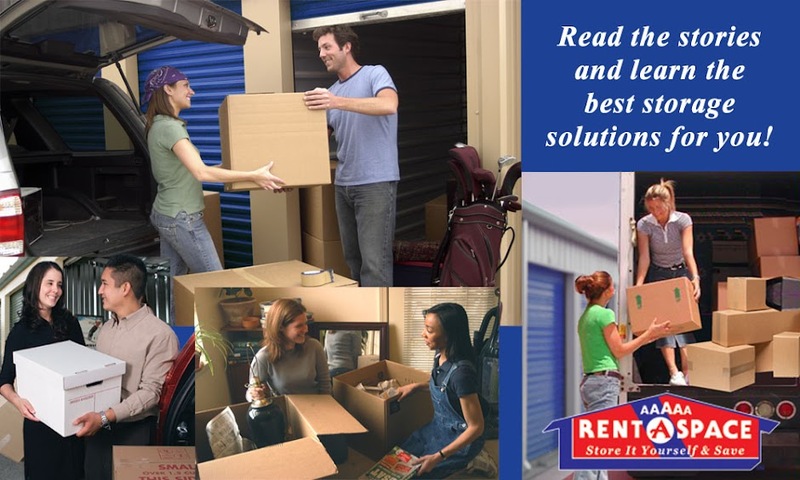 Call 5A Rent-A-Space at (650) 341-2964 if you have any questions about storage units. You will speak with one of our self-storage experts in the San Mateo - Foster City area. You can also get more information on our FAQ page. Be sure to try out the “Space Calculator” to assist you in getting the right size storage unit. Don’t forget, you can even rent online.